The Health Ministry has trained more than 50,000 volunteers to detect patients with high cholesterol, glucose level and high blood pressure to prevent them at an early stage. 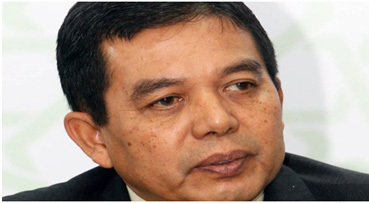 Health Deputy Minister Datuk Seri Dr Hilmi Yahaya said the volunteers, via the National Healthy Community programme comprising those from the Rukun Tetangga, local leaders and civil servants were trained for the past three years. "More than 50,000 volunteers in 6,000 areas have conducted about 700,000 health screenings nationwide during that period. "If they (volunteers) detect such cases, they must refer the patient to a nearby clinic or hospital immediately as we (ministry) want patients with non-communicable diseases (NCD) to be treated at an early stage," he said. He said the trained volunteers were not only able to examine patients but could also give informative advice to the public on leading a healthy lifestyle.